Salon Beautec Ltd is an Authorised UK Dermalogica Skin Care Centre & Stockist, owned & managed by Tina Khan, our highly experienced Dermalogica-trained therapist. The salon opening hours are as follows: Monday to Friday ~ 9 am to 9pm; Saturday & Sunday ~ 9 am to 1:30 pm. 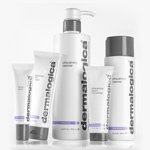 We offer a full range of customised beauty treatments, based on the use of Dermalogica products, including: Dermalogica Face Mapping; Dermalogica Facials; Dermalogica Hand & Feet treatments; Dermalogica Body/Spa treatments . Target your most pressing skin concerns and improve the health of your skin with a professional face treatment. 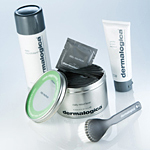 Through the dermalogica Face Mapping zone-by-zone skin analysis, we will be able to devise a treatment that is customised to meet the needs of your skin. 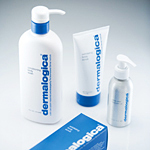 Using dermalogica professional products will achieve a healthier skin with a fresh appearance. This treatment starts with a deep cleanse under steam, followed by a targeted exfoliation to reveal smooth glowing skin. To induce deeper relaxation you receive a face, neck and shoulder massage. This is followed by a revitalising masque and nutrient rich toner and moisturiser. Our brightening treatment will help stop uneven pigmentation at it’s source, helping to balance your complexion for a brighter and more even appearance. We will focus on deep-cleansing, purification, extractions, and hydration to target current breakouts while helping to prevent future activity. 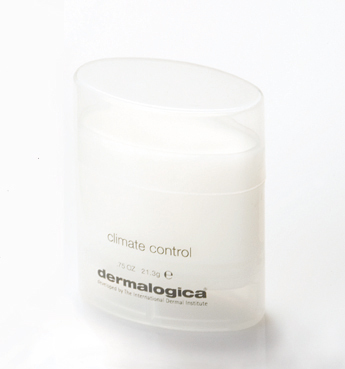 Ideal for teenage girls who want to learn about skin care & controlling acne. Settle in for our super-smoothing treatment that includes gentle cleansing, a calming masque and therapies that help instantly calm redness and reduce inflammation. 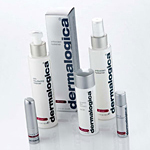 Over the past 25 years, Dermalogica has become the number one skin care brand for professionals and customers worldwide. The company is known for its scientifically tested products made from high quality ingredients, and its focus on the health of your skin, not just how it looks. 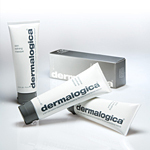 All Dermalogica products are manufactured in the USA, and have never taken part in animal testing. Our Salon is UK based. This is why SkinCare Express (authorised UK Dermalogica stockist) and Salon Beautec believe in Dermalogica and wholeheartly recommend it. 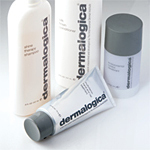 Our aim is to provide customers with the very best service but also cheapest dermalogica products both online and in our Salon. 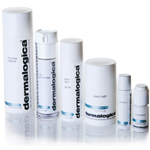 Here at the Skincare Express we stock the full range of Dermalogica products suitable for every skin type, available for you to buy online. 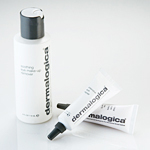 This includes Dermalogica Cleansers, Exfoliants, Toners, Masques and Moisturisers for your everyday skin care regimen. 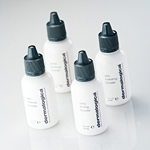 For more targeted results Dermalogica have produced specific ranges to tackle your skin concerns. 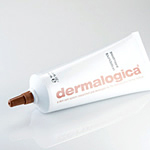 Dermalogica products are highly rated by beauty professionals as well as industry experts in the press. They often feature in top publications such as Elle, Easy Living and InStyle and have been at the top of award charts year after year. 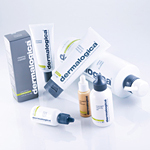 Dermalogica's range of products are so diverse, there's something for everyone for all kinds of lifestyles. 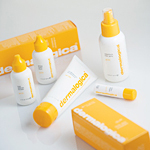 Celebrities such as June Sarpong, Kelly Brook, Jennifer Aniston not to mention Victoria and David Beckham love dermalogica products. 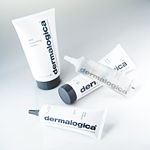 At Skincare Express we offer Free samples and delivery with every order, if you want to share your stories about our service and your experience using Dermalogica, please leave us a review after you've ordered. We want you to achieve the best skincare results you've ever experienced, if you need any advice our professionals are at hand to help you achieve your goals.